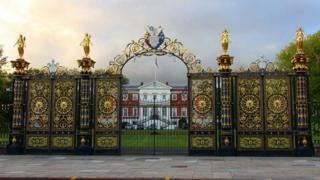 A plan for a devolution deal in Cheshire will be put to the public after Warrington councillors agreed to join the bid. Warrington and two other authorities drew up a bid in 2015, but the town's Labour councillors rejected it in 2016. Council leader Terry O'Neill said it was "the best we can get on the table" after the Labour-led authority approved joining the scheme. Warrington North MP Helen Jones warned it may "come back to haunt" the town. Labour councillors had been split over whether to join the Liverpool City Region or pursue a deal with Cheshire West & Chester and Cheshire East councils. The bid with the Cheshire councils would see the area become a combined authority with an elected mayor. Mr O'Neill said Cheshire devolution was "a better and simpler deal", adding: "We've got control of our own destiny, and hopefully it will benefit our communities in these very austere times." A cross-party devolution group had agreed, with a majority, that joining Merseyside councils "would best serve Warrington and best enable it to deliver its aspirations". However, a report to the council argued that it was "uncertain to what extent Warrington's aspirations and priorities would be reflected in those of the Liverpool City Region". Ms Jones, who backed the Liverpool City Region plan as the "best option", said she was "far from convinced the economic basis of a Cheshire deal was sound". Warrington council said the devolution deal would see extra funding for business growth and new infrastructure, a new body to oversee local transport, the creation of up to 127,000 new homes and a programme to "enhance the lives" of disadvantaged families. The plan for devolved power and funding will be subject to a public consultation later this year, followed by further votes at the three participating councils.